The internet can be an amazing place. Nowadays nearly everybody has an online connection, with more than half of those using the internet doing so on a mobile device. If you run a business, therefore, it makes sense that you have an online presence. If you operate a blog or website you probably spend a lot of time creating content. Your content may be highly original, creative, informative and above all useful to your potential customers. But what use is that, if nobody is going to see it? The internet has grown to the point that it now has 4.6 billion pages, including 164 million blogs. We are well past the point where you can set up a website and expect to instantly make it onto Page 1 of Google. But there are winners. 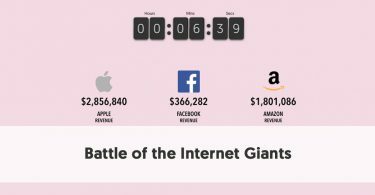 While the likes of Wikipedia and YouTube dominate Google’s Number 1 spot, there are many other influential sites. No matter what niche you are in, you will find influencers who have established themselves as industry heavyweights; who have built up respect and trust with their audience. With a bit of planning and a gradual building of relationships, you should be able to leverage some of the influencers’ authority. Imagine how many more people will take an interest in your site if a top influencer shares and recommends some of your comment. Well, it is possible. You just need to undertake a program of blogger outreach, and gradually get yourself known in influential circles. One day you may even wake up to find one of your posts going viral. The thing is, you can’t just email your content to random bloggers in the hope that they will share it. Successful influencers are busy people. They get many unsolicited emails every day, most of which end up in the trash can. You need to gradually reach out to influencers first, building up their trust, before you even consider asking them for a favor. Blogging outreach is a slow gradual process. You need to realize that to get the best results you have to be in it for the long haul. You will not succeed if you try and take shortcuts. 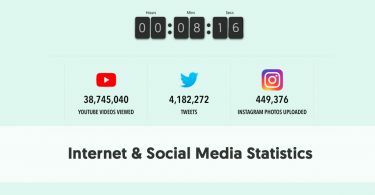 Your first task, unsurprisingly, is to determine which online bloggers and social media stars are the influencers are in your niche. You may already know some of them, but there will probably be many more. There are several tools you can use to help you build your list. AllTop - this is a list of popular blogs in virtually every niche. Enter a keyword relevant to your industry into AllTop’s search field. It will create a list of popular blogs in the niche. This works better if you use relatively broad topic terms in your search. FollowerWonk - although FollowerWonk doesn’t directly provide you with information about influential blogs, it does show you influential people on Twitter. You can search by a category and FollowerWonk comes up with influential people who use that term in their profiles. You can then take a closer look at these people to find influential bloggers. You may still choose to build up relationships with non-blogging people who rate highly in Followerwonk, as they will be very useful for sharing your content. Google Search - as with everything else, you can find influential bloggers in your niche simply by undertaking a Google search. Google clearly considers a blog that it places in a high position to be important. Unlike Alltop and FollowerWonk you will gain your best results by using long tail keywords in Google, e.g. where you might use “fishing” in AllTop, you might do better to search for “deep sea fishing” in Google. Spend some time at this step. You want an initial list of 20-30 bloggers you could potentially reach out to. It’s a good idea to record all of these influential bloggers in a spreadsheet, containing as many contact details and social media handles as possible for each blogger. When you have built up a list of 20-30 well-known bloggers in your niche (or even more) it is time to move to the next step. Your research will tell you which of these prospects have the most traffic and most respect. Obviously, you should devote more of your time and resources into making yourself visible for the top bloggers, rather than the smaller sites. If you used FollowerWonk to find your key influencers, you will have noticed that it created a Social Authority for everybody it lists. A person’s Social Authority indicates the importance of their Twitter influence. The biggest Twitter users have the highest Social Authority scores. 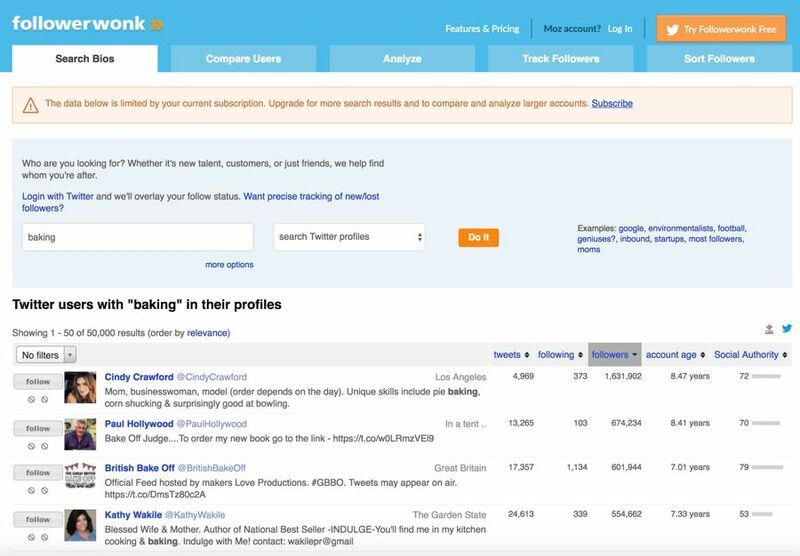 FollowerWonk was initially developed by Moz. Moz has calculated another important statistic for every website, which they call the Domain Authority (DA). This is a score out of 100 which indicates how important a website domain is. Authority sites like Wikipedia have a DA of 100. The Huffington Post’s DA is 98. 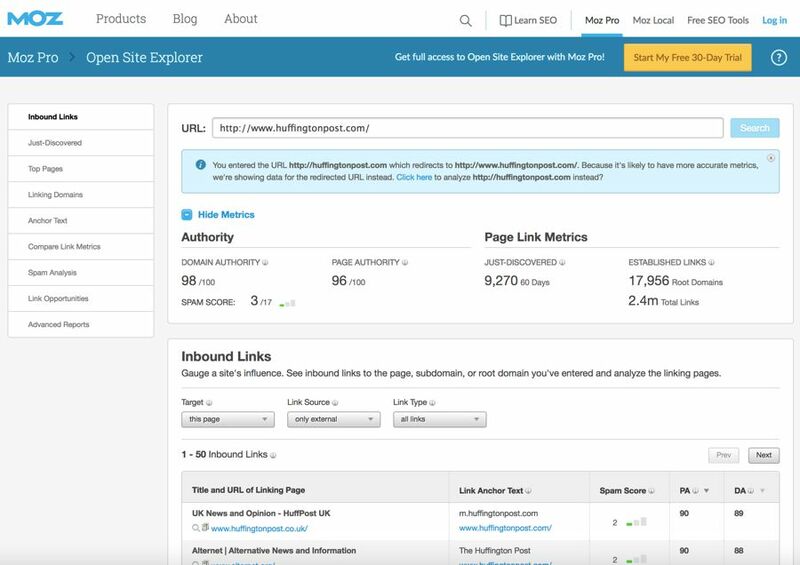 You can use the Moz Tool Open Site Explorer to find any site’s DA. You can only check on two sites per day with the free version, although you can get a free 30 day trial on one of the paid versions. Another way to find your DA without paying for a subscription is to download Moz’s Chrome Add-on Mozbar. Some features are limited in the free version, but you are able to see any website’s DA. Once you have the DA and Social Authority for all of your potential blogs sort your list by DA. You might as well cross the bottom few off your list (unless they are operated by people with high social authority) as they will not be of great use to you. The sites with the highest DA (and with bloggers with the highest Social Authority) should be your main targets for the rest of your outreach activities. However, it is still worthwhile making some efforts to contact blogs further down the list. Now you know who you should work with you need to make yourself visible to them. Remember this is a gradual process. You will not gain anything by jumping steps in order to hurry things up. The starting point of your relationship with the influencer is to sign up for their emails and their social media sites. Bloggers love people on their email lists and often tailor special messages and deals for them. It certainly gives you a head start for finding when a blogger posts new content. Most people on these lists are simply passive subscribers. They sign up and wait for content to arrive in their inboxes. If you do that, though, you will simply disappear into the masses. Depending on the system an influencer uses to collect email addresses, you are likely to receive a couple of emails from them shortly after signing up. If they use two-stage confirmation your first email will actually simply be a confirmation that you are a real person. The first real email, though, is likely to tell you something about them, what they do, and may even suggest to you a selection of their best posts. If you read these emails you will often see that they ask you to reply to them with any questions you may have. If that is the case, reply to their email. Introduce yourself and ask a legitimate (and intelligent question). It is vital that it is obvious to anybody who reads your reply that you read the original email and that you are not simply trying to game the system. You may get a personalized reply, but regardless of whether you do, you have just started the process of getting your name in front of the influencer. If you are going to build up a relationship with an influencer you need to begin by helping them. While influencers obviously have many more social media followers than you do, they will always appreciate it when somebody shares one of their posts. This is easy to do, and although of low value in itself, it does help forge a relationship. Of course, an influencer needs to know that you’ve shared the post, so you need to @-tag him or her in your share. Twitter is probably the easiest place you can do this, as it makes it particularly clear when somebody mentions or tags somebody else. With the Tweet limit now raised to 280 characters, you could add a brief message indicating you liked the post. If you share it on Facebook, Google + or somewhere which allows you more characters, you could write a bigger insight into why you liked the post. Some bloggers and social media influencers like to ask questions in their posts. If they do, make certain that you reply with an intelligent answer. For instance, some authors share two potential covers for their next book in a Facebook status and ask their followers to pick which cover they prefer. In that case, you should reply with the cover you prefer, and a helpful reason for why you opt for that one. Unfortunately, there was a huge increase in spam comments. At the same time, people started to use social media more and tended to leave their comments there. Some major blogs responded by removing their comments section completely. However, if you want to gain an influencer's attention, and he still allows comments on his blog, then you can gain some excellent visibility by leaving intelligent well thought-out ideas. Comments like “Good Post”, though, are scarcely worth the effort, and are simply a waste of time. While you want your comments to be complimentary, you need to add new insight to the post. What else could the blogger have talked about? Do you have any useful insights to add? Do you have a relevant case study that demonstrates what he’s been talking about? If you struggle to provide additional insight yourself, perhaps you could come up with an intelligent question. This will give the blogger an opportunity to further expand on his wisdom. 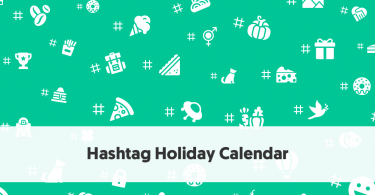 You could send out a weekly tweet thanking your blogging targets for their shared material over the last week. Make sure, of course, that you @-mention everybody who you refer to. This is another short and simple low-key way of keeping yourself visible. A variation of this is to send a short complimentary email to each blogger thanking them for the valuable material they are sharing. While this idea still has some merit, it has been overdone by some people, so don’t spend too much time searching for errors. Bloggers and website owners want their sites to run as smoothly as possible. Every error that people find has potential to reduce the visitor experience. Therefore, most people will generally be grateful for anybody who spends the time discovering the errors on their website. The most common types of errors you will find are broken links and spelling mistakes/typos. If you find any errors send the blogger a quick email telling him about the error. Keep the email short and to the point., Don’t ask for anything in return. Remember all of the activities at this stage are simply designed to make your name visible. Don’t rush into this one. While you can physically link to an influencer’s site at any point, you don’t want to make it too obvious at the beginning that you are deliberately trying to build a relationship. Before you get to the point where you hope that an influencer shares your material you first need to share his/her material. Sure, you don’t have the following he/she has, but there will be some people on your Follower List who don’t follow the influencer, and who will benefit from being exposed to his/ her content. A link is worth a lot on the internet - and even a link in this direction (i.e. you providing the influencer with a link) is still valuable in Google’s eyes - as long as it is a genuine connection. There is no point linking to a site if there is no subject connection between that site and yours. If both sites are in the same niche, and the influencer’s content would be of genuine value to your readers, then Google will reward both you and the influencer for the link. However for a link to be valuable for relationship-making you will need to notify the influencer about the link. Remember, don’t do this until you have already built up a relationship doing other activities. You could send the influencer an email telling him about your link (make certain that you tell him how it fits into your article, otherwise it seems like you are blatantly hunting for a return link, and you are unlikely to get one). It is probably more common now to @-name the influencer in a social media message when you promote your post, telling the influencer that you have mentioned them in it. The final stage of making yourself known to influencers is to create an egobait post. An egobait post is a post where you tell your readers about the top blogs in your niche. Your blog title shouldn’t be quite that obvious, however. For instance, if you are in the Personal Finance niche, you could create a post called, 20 Blogs That Will Help You Save Money. You would then pick your 20 potential influencers, list them along with a 50-200 word summary, a link, and a relevant image. 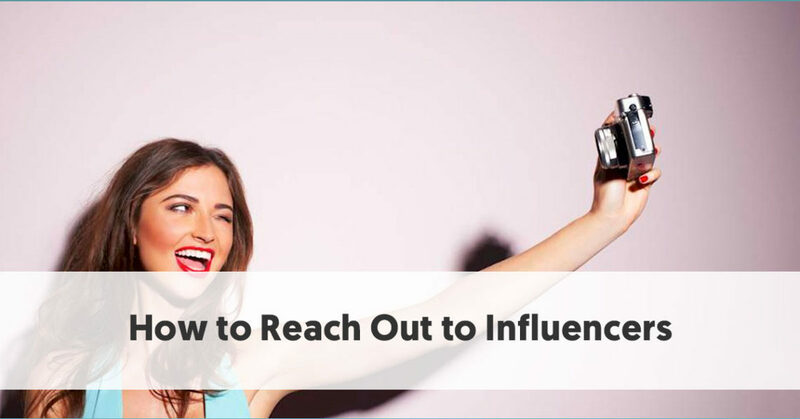 Reach out to the influencers in your list, making certain that they know they have been included. You might even consider asking them for a quote to be included in the post. Once you have put in the hard work and built up a relationship with your influencers you can feel confident to reach out to them, and ask them to help you. Remember, though, you have to work to get to this position. If you skimped on Step 3, sorry but you will have to return there again and spend longer at that stage. Exactly how you reach out depends on what your goal for building each relationship is. For instance, if your goal is for influencers to share your content you should send a polite email to them informing them about a particularly good post you’ve written on a topic that would be relevant to their audiences. You are not explicitly asking for anything in your email, but with your name now being familiar to the influencer, and if the post is relevant and of high quality, then the influencer is likely to share it. Perhaps your aim is to guest blog on a particular site. First of all, check the site for any Guest Blogging Guidelines (many have them). If there is a process to follow, make sure you go through the steps asked for. This will often be for a pitch of an idea, rather than sending a finished post. Make a good examination of their site to see which posts have performed well. You can use Buzzsumo to see which of the blog’s posts have been shared most. You could, perhaps, come up with a pitch that extends a well-shared existing post, but which nobody has already covered on the site. Once you have a pitch, email the influencer (or follow their laid-out submission process) with your ideas. The key to contacting your influencers at this point is to be polite, non-pushy, to the point and brief. Once you have started a relationship with your key influencers you will want to keep the momentum going. Continue to do all of your previous steps. Keep sharing their material, commenting on their posts, and every-so-often sending them a complimentary email. Continue to outreach to them with your best material. Once you land your first guest post with a site, try and build up regular follow-up posts. In time, you might even build up a more personal relationship with them. They may talk to you on Skype. They may automatically think of you when they need examples. You might eventually get to the point where you feel confident enough to ask them to join you in a venture together. Who knows, if you live in the same part of the world as them, you may even get to know them offline, too. The key to reaching out to influencers, if you choose not to pay for them using a platform or agency, is to gradually build up your relationships. You will gain nothing by jumping in like a bull in a China Shop. Remember they are influencers respected by their audiences. They have a reputation they need to uphold. They are also usually incredibly busy people. It takes time and effort to break through their barriers. Knowing how much you love writing about [TOPIC], I thought I’d just show you an article I’ve also recently written on TOPIC. I’ve been loving your work at [BLOG] lately, and look forward to reading more great posts in the future. NOTE: Make certain you read, and follow, any Guest Posting Guidelines on a blog first, and adapt this email to suit their guidelines. Try and find the correct email address for the blog editor, and only use the Contact Form as a last resort. If the blog doesn’t specify how to pitch, it is best to simply pitch with headlines to start with - there’s no point writing a full post on spec. Mind taking a quick look at these headlines? For a while now, I've been digging through [BLOG NAME], getting up to speed with your style and audience. If you're okay with the idea I'd like to write some guest posts for you. Do any of those sound like they would work? If not, no worries. I'll go back to the drawing board and write some more.